Offer 24/7 customer service and convenience—no extra phone calls or emails required. 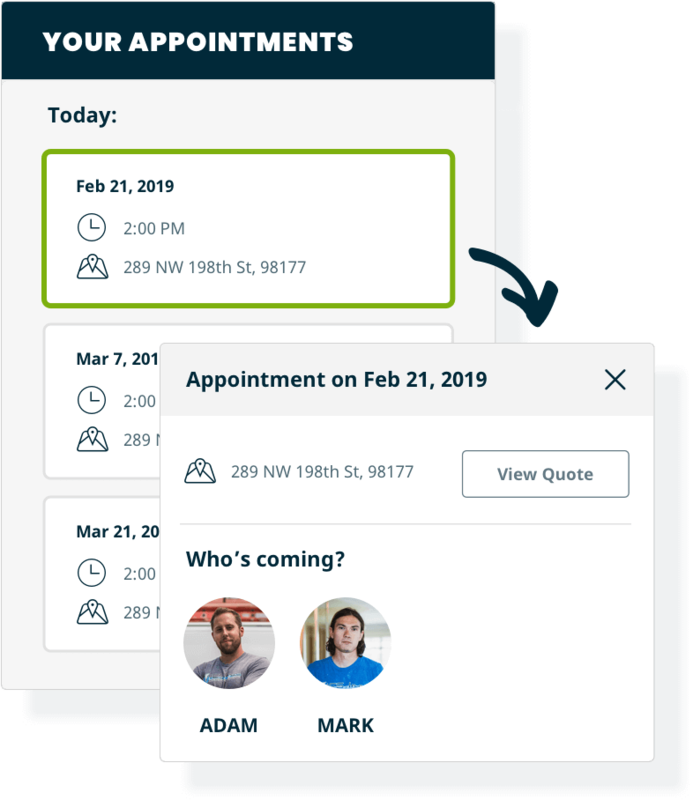 Client hub is a self-serve, online experience that allows your clients to approve quotes, check appointment details, pay invoices, print receipts, or request more work—all in one place. Your client hub is automatically set up with your company branding, so you’ll look professional and impress them every time they log in. Your clients can access your client hub via a secure email link or you can add a log in button on your website—no pesky passwords to remember in either case. When you send your clients a quote they can approve it, pay deposits, or request changes in your client hub, making it faster for you to get to work. Visit our quoting page for more information about quote approvals. 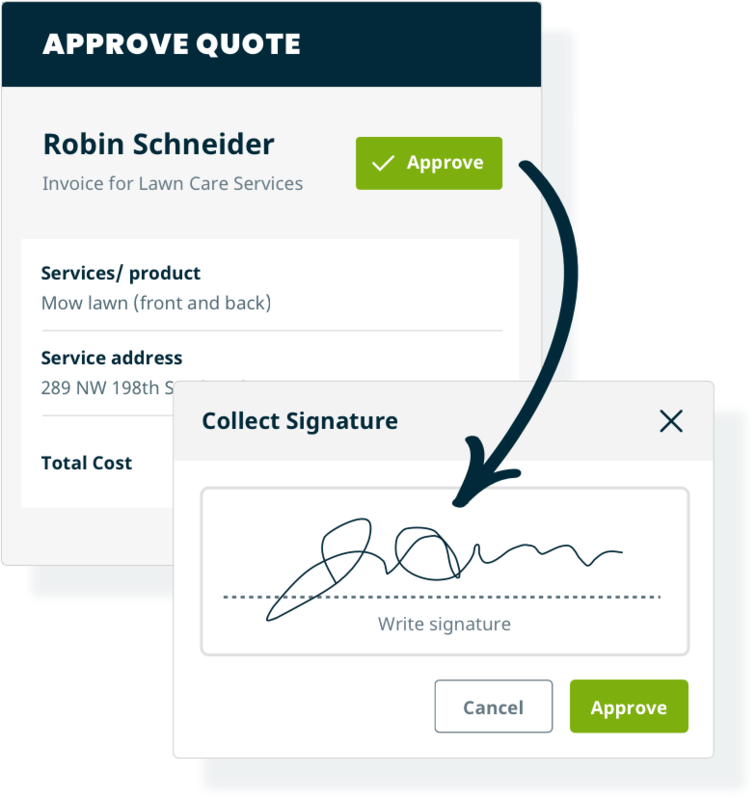 If your business requires signatures to move forward with work, you can collect a signature when a client clicks ‘Approve’ on a quote. Once you’ve scheduled the work, your clients will be able to see who’s coming and when. Your clients will see the date, time, and address of their past and upcoming appointments, as well as the first name and photo of any team members assigned to the work. 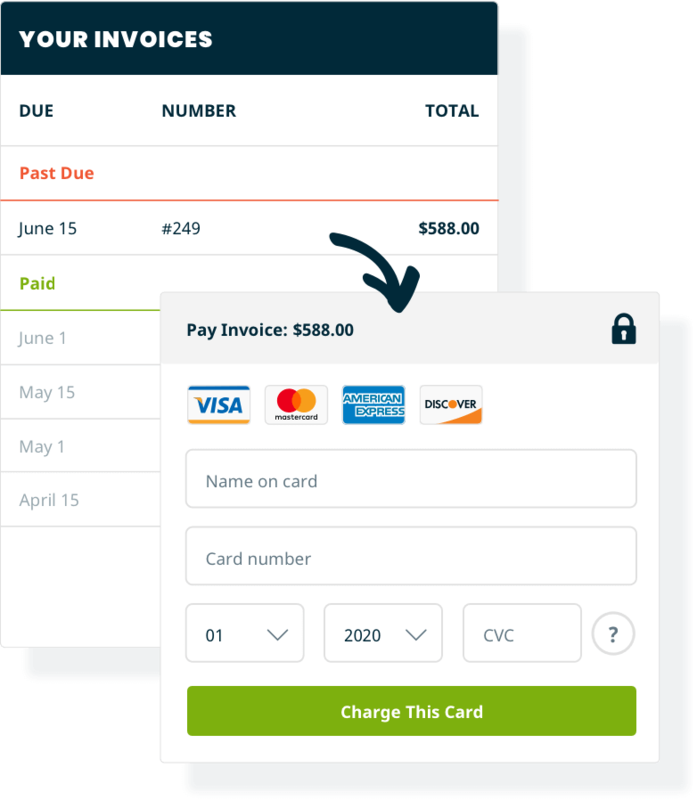 Clients can view current and past invoices and receipts. They can check on which invoices are outstanding, and easily make a payment. And they can print any receipts in just one click. Use Jobber Payments to allow clients to pay invoices through your client hub. 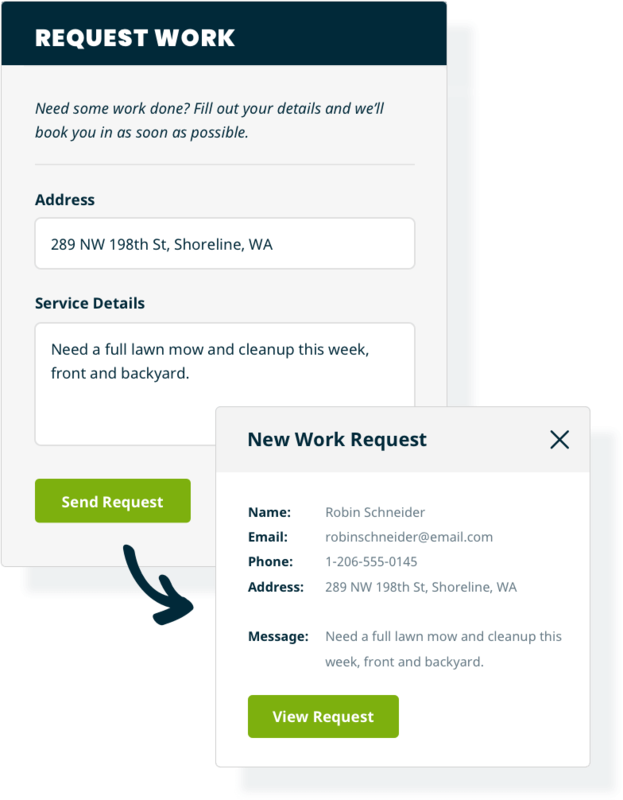 Clients can submit a request for more work directly from your client hub. Visit our work request feature page for more information. When a client submits a new work request, Jobber sends your business an email alert. You can review any new requests in Jobber, and in just two clicks turn them into a quote or job. You can also add a link to work requests on your website, or social media channels to collect new leads. How much does client hub cost? Client hub is free for all Jobber users. How are clients using client hub?